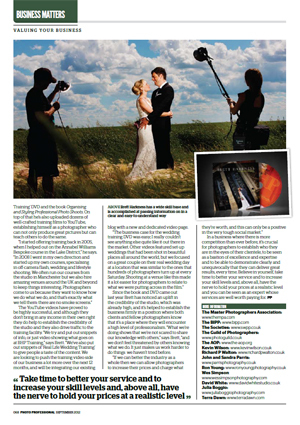 I contributed to an interesting article in this month Photo Professional magazine. The article covers what photographers are doing to harness the internet, press and blogging to promote their businesses. My contribution concerns a blog post I have that showcases some of the worlds best food photographers, and attracts somewhere near 200 unique visitors every day. The article is well worth a read – a pdf is below.